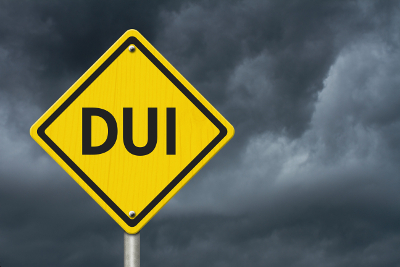 If you receive a DUI, or driving under the influence, the entire process can be overwhelming. It is hard to fully grasp what is going on at each step without the help of an attorney, unless you have been through the process before. DUI trials in Arizona could include expert witnesses, evidence from blood draws or breathalyzer tests, and witness testimony. 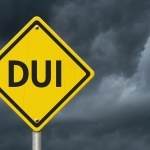 In many instances, it is clear whether the driver was driving under the influence or not, and in those cases the driver often will just take a plea agreement for the charge. If the facts are not as clear, then a trial could be conducted to determine the drivers guilt or innocence. In order to determine the blood alcohol concentration of an individual, special instruments must be used. 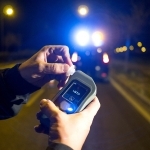 A police officer can use a breathalyzer device to determine the blood alcohol concentration in an individual right after being pulled over, but there are arguments that a breathalyzer is not always accurate. The device requires special training to maintain the accuracy of the device, and many environmental factors could interfere with the accuracy. A blood test could also be conducted to determine the blood alcohol concentration of the individuals. While it is possible to conduct the blood test on the side of the road, it usually requires the driver to go to a second location for the test to be completed. Just as with the breathalyzer, the blood test could also have complications which could lead to unusable evidence at a trial for the driver. In order to explain this science, an outside expert witness who is trained specifically in those areas (and not just for part of their job), will be required. In a trial where the driver was under the influence of drugs, the need for an expert witness is even great. An expert witness here can explain to the jury how the alleged drug can affect the driver and their ability to drive. If the prosecution calls these expert witnesses, to explain how alcohol or drugs affected the driver, then the defense will want to call their own expert witnesses to try to cast some doubt on what the other expert witness was saying. 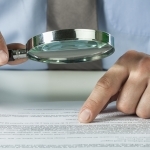 Using an expert witness in any trial is going to come with a rather hefty price tag. The use of an expert witnesses is definitely not required, but it could be the defining factor between a guilty and not guilty verdict. If there is a lot of scientific factors in the case the use of an expert witness could be crucial in order to properly explain everything to a jury. A defendant has a constitutional right to take the stand and testify at their trial.v A defendant also has the constitutional right to remain silent and not testify at their trial.vi There are a lot of benefits to testifying at trial, but there are also a lot of reasons to avoid testifying. Many defendants chose to not take the stand, but that does not mean that other individuals cannot take the stand and testify for the trial. It is important to have a credible witness on the stand to testify for the defendant. Typically a relative or significant other is not going to be a neutral party and the jury may not find them as credible. In DUI trials in Arizona, if the defendant was at a bar or a party, a witness who happened to be there could testify if they had useful information for either their innocence or guilt. A motion to suppress is utilized frequently in criminal law, and can be a crucial factor in any criminal trial. A motion to suppress is filed with the court if the law enforcement officer illegally arrested you or obtained any evidence against you in an illegal manner.vii Filing this motion can lead to a pretrial hearing in order for the judge to hear the arguments for why the evidence should not be used.viii It is important to conduct this hearing outside of the jury so they do not hear any of the evidence in controversy and have a biased opinion – especially if the evidence is in fact suppressed. 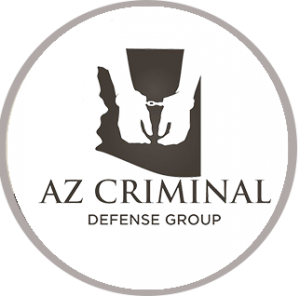 In DUI trials in Arizona, if the defendant consented to give a blood sample to test their blood alcohol content, but only consented after a police officer beat the defendant up – a motion to suppress could be filed on the grounds the evidence was illegally gathered.ix If that motion was granted, then any evidence gathered illegally could not be used in trial. If the blood sample was the only evidence the prosecution had, then the case could very well be dismissed. It is important that every step is properly taken in criminal procedure by law enforcement, otherwise it could result in a case being thrown out. Another reason why a defendant may pursue a motion to suppress is if the defendant believed that the police officer had no reason to pull the driver over in the first place. If that is true, anything that resulted from that illegal stop could not be used in a trial either. This could include any of the field testing the officer conducts, or even how the officer perceived the driver when they were pulled over. Receiving a DUI can be overwhelming. From being pulled over, to testifying in court, the entire process is very time consuming and incredibly expensive. Any criminal trial has the potential to be a lengthy process that requires a lot of time and money in order to prove the defendant is not guilty. Not only will there be fines to pay if found guilty, a defendant will likely need to hire an expert witness for their trial, and of course pay a good criminal defense attorney. Specifically in DUI trials in Arizona, there is a lot of scientific evidence that more times than not will require some form of an expert witness to explain the findings to a jury. When are Blood BAC Tests Performed in Arizona?